You can save each other a lot of expense by trading and sharing plants with family, friends and neighbors. This guide is about sharing plants with others. Try this the next time you have a yard sale. I buy a package of seed starter cups (cost $1) and fill them with starter plants from my yard (ivy, daisies, etc.). Yard sale goers love plants! This makes my yard sale better and also thins out my flowerbeds at the same time. 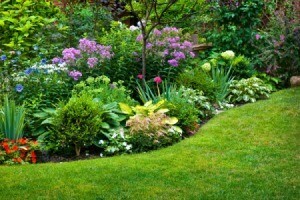 You may also meet someone that wants to trade plantings with you, so you can have a start of something new for yourself. All of these plants (except 3) were donated to me by a fellow Thrifty Fun member. Last week I posted a question about inexpensive plants, and she contacted me and offered to share hers. All of these were taken directly from her grounds. They are doing great and are a fabulous starting point for me! Save money on plant by trading. Here are some great tips from the ThriftyFun community. Post your own advice here. 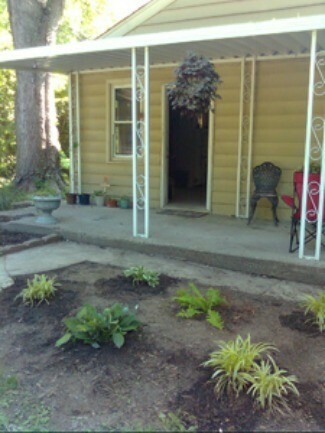 Do you need to add to your flower garden but are low on funds to do so? Not to worry. Start trading with your friends. For example, every spring I have new shoots from my hostas. I let it be known that I am willing to trade. And the nice thing about this is that when you get a plant from a friend, you associate that plant with that friend. Now that's what I call a really and truly great friendship garden. Happy trading. I add to my flower garden by using the money I get by dividing the existing perennials and including them in my annual garage sale. People love me for it (it's becoming a very popular garage sale) and I also win because the money I make I use for more perennials for my 10 acre yard. 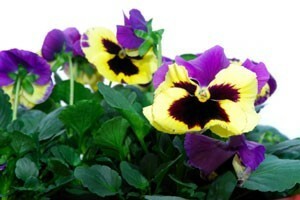 I also trade with girlfriends and find that I associate the plant with the girlfriend as I wander my flowerbeds. Trading can also be done with future consideration in mind. Keep track of the plants and, in the future, return the favor. I am growing some baby irises that were given to me and if they live and I can get them to multiply in my yard then the original owner would like a few back in return. I paid nothing for them and it is a win-win situation for him and me. I also keep a running list on my computer as to the name of the perennial, when I got it, where it is planted, how much I paid or not paid, etc. This way when I go to a nursery or a plant sale somewhere, I know what I already have in my yard and don't purchase the same perennial again. Instead of buying new plants, trade plant starts in the spring with friends. That way everyone saves money and gets new plants for free!